This product is for the fragrance base refill only. 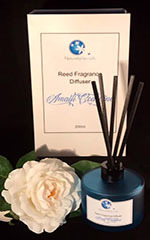 Highly scented 200ml refill for Naturally Nerine’s Reed Diffusers. Fragrances available can be chosen from the drop down selector.